NOBLESVILLE, Ind. 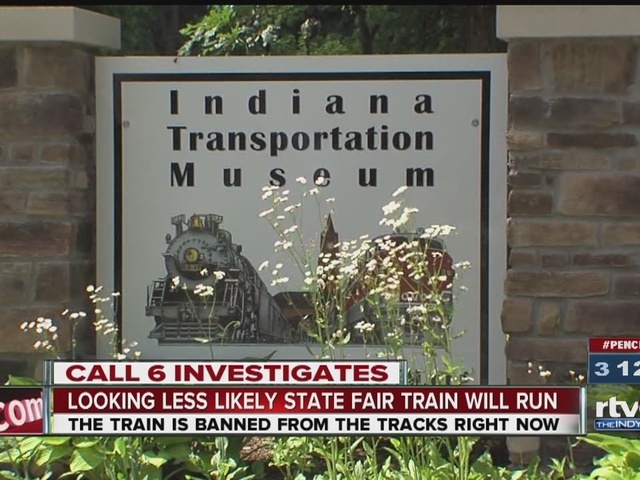 -- The Indiana Transportation Museum will remain banned from using the tracks to the State Fairgrounds, leaving the annual Indiana State Fair train an unlikely proposition this year. The Hoosier Heritage Port Authority decided Monday night not to lift a ban on the museum using tracks that's been in place since March. The port authority also approved a new resolution which requires ITM to adhere to 13 specific terms before they will be allowed to use the tracks again. More than 10,000 people relied on the fair train to get to the fair last year, and the Indiana Transportation Museum was hoping to top that number this year. The ban came after seven former volunteers blew the whistle on the museum's board of directors, alleging wrongdoings, including questionable financial practices, failure to maintain timely and complete records and an inability to properly manage the museum. Those whistleblowers were fired after sending the letter to the museum. The museum's president told Call 6 Investigates that the employees' firing came over a difference of ideas about how to run the museum. "We did have numerous conversations with them to bring them around to the idea that we are a growing business," said Indiana Transportation Museum President Jeff Kehler. The whistleblowers' letter was also sent to the attorney general and the railroad's owner, the Hoosier Heritage Port Authority. It's a conglomerate of Fishers, Noblesville and Hamilton County. The entities have an agreement to allow the museum to use the tracks, but banned it from doing so after receiving the letter. The whistleblowers also alleged the museum wasn't truthful to the community about the ban. Kehler said the museum never withheld information from the community about the museum's operations. Because of the suspension, the museum has had to cancel numerous events and special trips. They say they've never mislead the community. But, a recording Call 6 Investigates obtained from a museum board meeting tells a different story. "So far we've been telling them, with all the school groups, that inspections are taking longer than we anticipated. Something like that. Donna and I agreed that what we should say, um, inspections are ordinary. It's common for this to happen. But this year it's just schedules, the inspections, are off." Kehler says it must have been done in error and that the museum never meant to hide internal problems. In addition to all the troubles at the local level, the Indiana Transportation Museum faces another hurdle in the form of the Federal Railroad Administration. 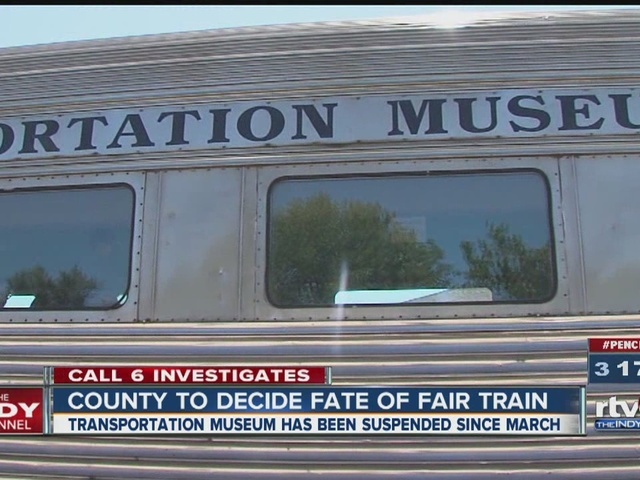 The FRA is trying to determine if the State Fair Train can still be considered a historical service, or if it should be classified as a short passenger line. There's no deadline for that decision to be made, but if the train gets reclassified, it will have to meet a whole new set of safety standards. IndyGo Transit stops at the Fairgrounds’ main entrance on 38th St. In light of this potential change we encourage fairgoers to use our new mobile app to plan their trip in advance and come early to beat the crowds and stay all day to make sure they experience everything the Fair has to offer this year!